As you may already be aware, this summer has been perhaps the busiest summer to date for Twelve Restaurant & Event Management. We have been lucky enough to work at many fabulous venues and locations stretching across the county. It has been amazing to see months worth of planning finally come together to fulfil the dreams of our customers...hard work really does pay off! Thank you to our contractors and all our clients, we couldn't have done it all without you. After a hectic month of July, the start of a new month brought new challenges and venues. For the fourth year running, we were delighted to be invited back to Lytham Festival by Cuffe and Taylor to cater for the VIP Hospitality Marquee. Despite the 'Great' British weather, it was a fantastic five days of entertainment and music, with the likes of Noel Gallagher and Bryan Adams taking to the stage. Twelve Usherettes serving up popcorn. Twelve delivered five themed menu's using the highest quality and locally sourced ingredients in Lancashire, for 800 customers per night who had travelled from across the country. During the same week as Lytham Festival, Team Twelve also catered for four weddings at the fabulous Browsholme Hall and The Great Hall at Mains. Congratulations to the lovely Bride and Grooms who we had the pleasure of meeting! Kicking off the pre-season football in July against Liverpool, we were back at FTFC catering the VIP hospitality guests in the Parkside Suite. No rest for the wicked! The following week we had the pleasure of catering for the wedding of the lovely Mr & Mrs Kay, in the picturesque landscape of Slaidburn in the Forest of Bowland. They chose an impressive marquee as the venue for their wedding reception...armed with a pop up kitchen Twelve delivered an array of canapes alongside a three course wedding breakfast. A delicious three course wedding breakfast using locally sourced Forest of Bowland Beef. Thousands of people from across Lancashire attended the annual food festival at the Marine Hall, Fleetwood. With over 60 stalls it was a great day to be part of. Our head chef, Graham Floyd held three live cooking demonstrations with his right hand chef, Emily. They began with a starter of seared scallops, before cooking pigeon to sous-vide. The final course consisted of a seasonal gooseberry fool! 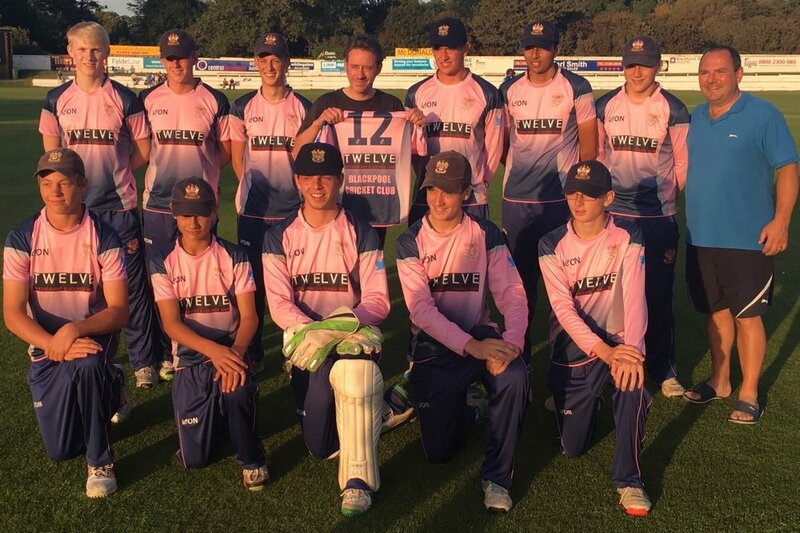 We like to support the local community as much as possible, so it was with great pleasure that Twelve Restaurant sponsored the new 1st XI and u19 T20 Blackpool Cricket Club player shirts. Paul was able to watch the match at Stanley Park, which saw the Bullets U19 squad secure entry into the semi final. Big Congratulations! We have the pleasure of working with so many lovely people and couple’s and Mr and Mrs Murray are no exception. Despite the persisting rain, the Murray’s were well equipped in their sturdy marquee and we served a delicious cold buffet to their 60 guests. We look forward to the next event! There’s never a dull moment at Twelve as we near the end of a busy summer period we would like to say a huge thank you to everyone involved. Unfortunately there isn’t enough space to mention all the amazing events we have had the pleasure of being part of. But we really do love what we do and are looking forward to more exciting things to come!